One of our most enduring literary heroes, Robert Burns symbolizes a spirited, passionate and eloquent Scotland. His poetry and songs are loved the world over. Burns Cottage was built by Robert’s father, William Burnes, in the style of most cottages of the time, with a thatched roof and limed walls. 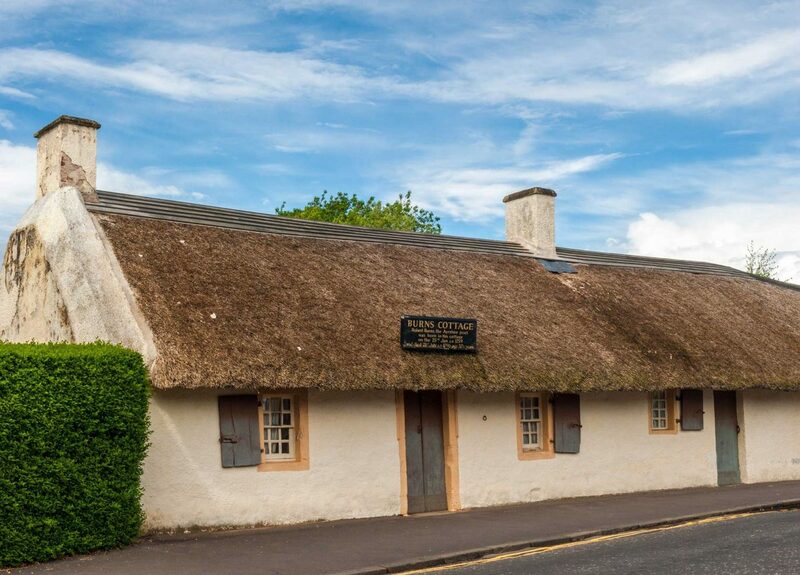 The cottage has become synonymous with Burns: Robert was born here in January 1759 and it was here that close friends of Burns hosted the very first Burns supper five years after his death. However, time and Scotland’s wet winters have taken their toll. 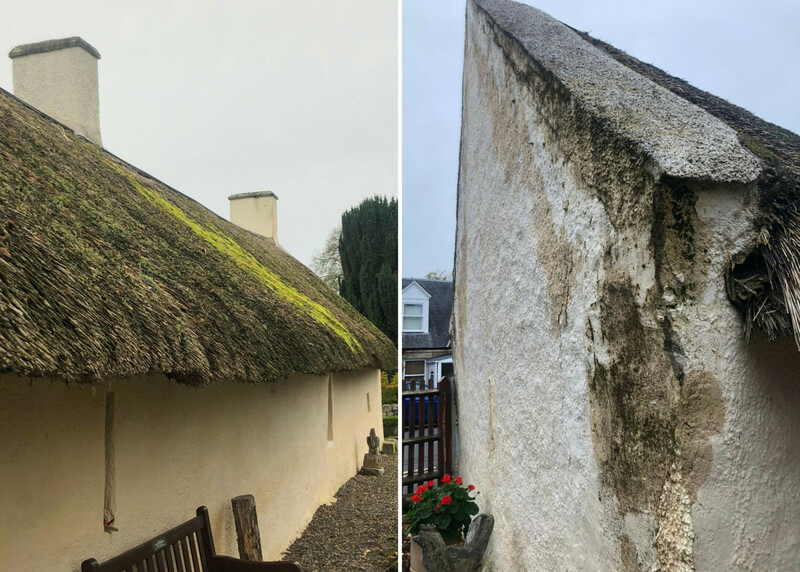 Moss is beginning to grow along the thatch of Burns Cottage and cracks have appeared along the walls. Urgent repairs are needed to the roof, walls and chimney of the iconic Cottage. At the back of the home, the thatch has developed significant tears and has worn away; towards the front, moss is beginning to grow, collecting rainwater and rotting the thatch underneath. The north-west gable is starting to crack and pull away from the rest of the cottage, letting the wind and rain in, damaging the interior plaster work. Plans are in place to repair the wall at the end of the cottage, which will be propped up and pulled back in line with the rest of the building. Cracks along the walls and windows will be filled, the roof re-thatched and the outer walls re-limewashed, weatherproofing the cottage and protecting it for the future. Please help us save Burns Cottage and ensure it remains an inspiring place for Burns lovers the world over to visit, experience and learn from. Will you help us save Burns Cottage?